Modern timber windows remain a great natural and real wood product. 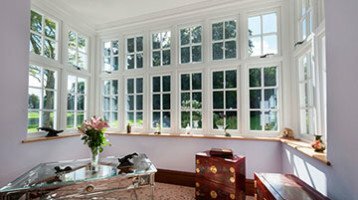 The modern timber windows that we offer our customers are nothing like old timber windows. You may also think that timber windows are costly to maintain with ongoing upkeep needed. Timber windows today have all the benefits of PVCu and Aluminium Windows. They come with a long guarantee on the paint finish and the hardware. The Windows have the highest levels of security and energy saving. Timber windows are often more expensive window than PVCu and Aluminium. We know home owners still want a modern timber look window. They seek all the advantages of PVC-u but at a more affordable price than a real wood window. We can help if you live in a home where the original wood windows need renewed. Many with homes where the window design is an key part of the house will want to keep the look of a natural timber window. Residence 9 is our brand new window and has been designed from the ground up. It is a feature rich and luxury PVC-u window that replicates and replaces typical Flush Sash Timber Windows. Do you live in a home that needs Wood Replacement Windows? Do you live in any of the these types of houses? 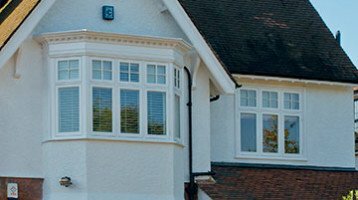 Residence 9 Windows offers a truly great option to traditional new timber windows. For houses in conservation areas changing timber windows with modern pvc or aluminium can be an issue with Planning and Conservation rules. The Residence 9 window has been approved by many local authorities due to its very authentic appearance. 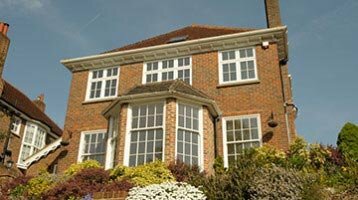 Residence 9 Windows can take 28mm Double Glazing or 44mm Triple Glazing. The window offers great thermal performance. It is very quiet and has one of the highest weather test results on the market. Contact us to see how the Residence 9 product could be ideal for your home.